Find fun places to take the whole family for an active game of laser tag in NY. These laser tag arenas in New York are ideal for an afternoon of virtual combat with friends and family. KidsParties.Party also lists laser tag party places in NY, where kids and teens will have a blast battling opponents and scoring points. 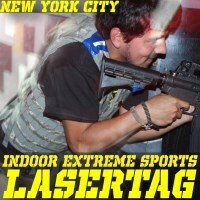 Indoor Extreme Sports offers you the number one laser tag facility and experience in NY and the Tri-State Area! Indoor Extreme Sports can accommodate all size parties and children ages 7 and up and teenagers as well! With three different laser tag arenas, we make it easy for you choose the perfect party package for your child while working with your budget. 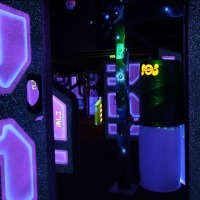 Our laser tag Arenas are all video game inspired fields that kids will love to play on. Our game modes are designed to allow players to have a great time while participating in a healthy lifestyle by being active and enjoying a great workout without even realizing it! Players will also have the ultimate experience by feeling and hearing what it's like to be in a video game in real life! To top it off, our amazing team of staff members will make sure you have a memorable experience when you host your kids birthday party here at Indoor Extreme Sports! The Fun Warehouse has a 6,900 square foot black-lit laser tag arena with bright neon lights flashing all around. Spend 15 minutes playing a game of laser tag with up to seven teams in the arena at one time. Hide behind walls and other objects as you sneak up on members of the other teams while trying to stay hidden from them at the same time. One game of laser tag costs $7 per player. The cost includes all equipment that is needed to participate in the game. Suit up and see if you have what it takes to dodge the lasers of the opposing teams! 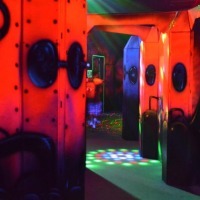 Specialty lighting, energetic music, and swirling fog greet you as you step into the multi-level laser tag arena at Laser Quest. 30 or more players can be in the arena at one time adding to the exciting atmosphere. Move through the brightly colored rooms as you try to hit your opponents with your laser while dodging the red lasers pointing back at you. General admission is $8.50 per game. Group rates are available. Private parties and events are also available. Reservations are accepted so make sure you check out their website! In this New York laser tag arena you will find yourself surrounded by pulse-pumping music, and other players cautiously wandering around the room. In this exciting environment you will see laser beams soaring through the air adding a glimmer of light to the ultraviolet-lit room. 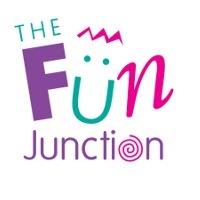 At The Fun Junction laser tag is an exhilarating team activity in which you will score points for yourself while trying to deactivate your opponent’s base station. As the game ends each member will see detailed statistics of their performance during the game on a giant scoreboard. One game of laser tag costs $8 with special deals available from time to time. Experience laser tag in a way that is unique to all others. 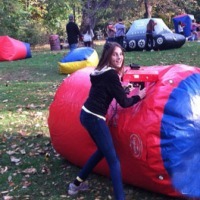 Outdoor Laser Tag USA is a New York based laser tag company that is completely outside. If you are looking for something fun to do but do not want to travel, Outdoor laser Tag USA is right for you. The company is 100% mobile so they travel to the location that you choose and will set up indoors if need be. Hosting parties with 10-500 players, Outdoor Laser Tag USA uses the most expensive, futuristic looking equipment. All equipment is provided for you. Prices vary depending on the type of party you are booking. Outdoor Laser Tag USA is a great way to get a large group of people together for a fun adventure. 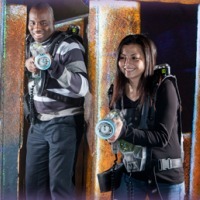 Lazerland is the ultimate laser tag experience in Long Island, NY. With the most advanced equipment, the 5,500 square foot multi-level arena was created to provide a safe and fun environment for friends and family. Lazerland is the most progressive laser tag facility on Long Island. Their goal is to provide guests with an experience that will make you want to come back. Fog machines and mirrors are roaming around every corner of the arena. Visual effects and top notch sound fill the room as you lurk around walls waiting to catch your opponents. The arena holds up to 40 players with more than 10 different game options. One game of laser tag costs $9. All equipment is provided for you. When you step inside the black-lit arena, your laser tag skills are put to the test. The 4,000 square foot game room is filled with loud electronic-techno music, bright neon lights, and enhanced with special effects as two teams battle each other to deactivate the opposing team’s headquarters. Q-Zar laser tag allows up to 40 players to be in the arena at one time, 20 players per team. You can choose from a variety of game options which allows regulars to keep interest in the game and gives new comers many different games to try out. The arena has a surreal, futuristic environment that is unlike anything else. The game costs $7 per player. Private parties and events are available. Whether you are with friends or family, you are sure to have a great time at Q-Zar laser tag. Tired of sitting at home and playing games in a virtual world? Go out instead and taste real fun playing laser tag with your family and friends. It is safe, exciting, entertaining, and painless and keeps your physical condition in a good shape. 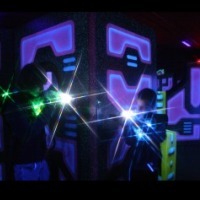 Come to Zero Gravity and try some of the best laser tagging in NY. Play laser tag in a 5,000 sq. foot arena or spend some time relaxing and playing arcade games. Play more than one game and get a discount: one game $8, two games $14, three games $18. Are you looking for the best birthday party your kid has ever had? 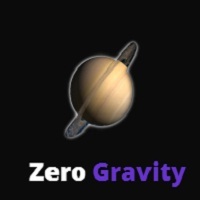 Zero Gravity is the right place for you. Call now to book your party!